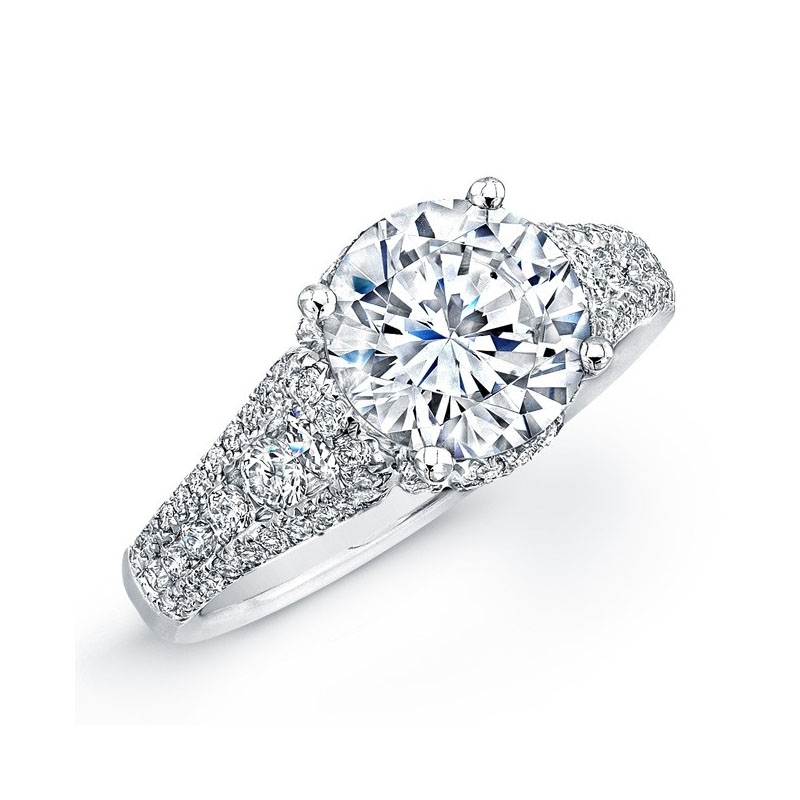 Diamond Details: 112 round brilliant cut white diamonds of G color, VS2 clarity, with excellent cut and brilliance. 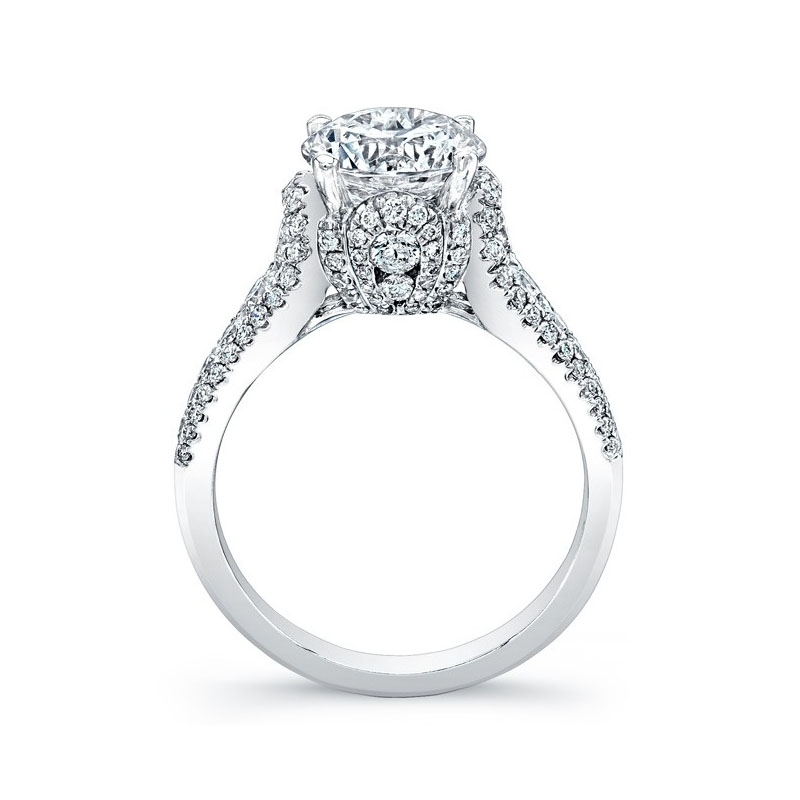 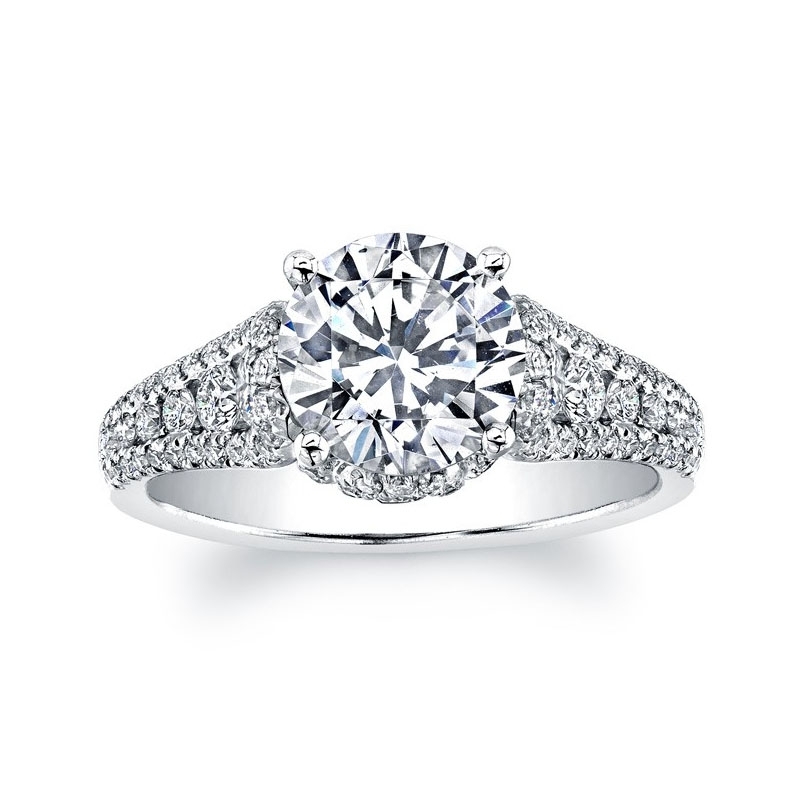 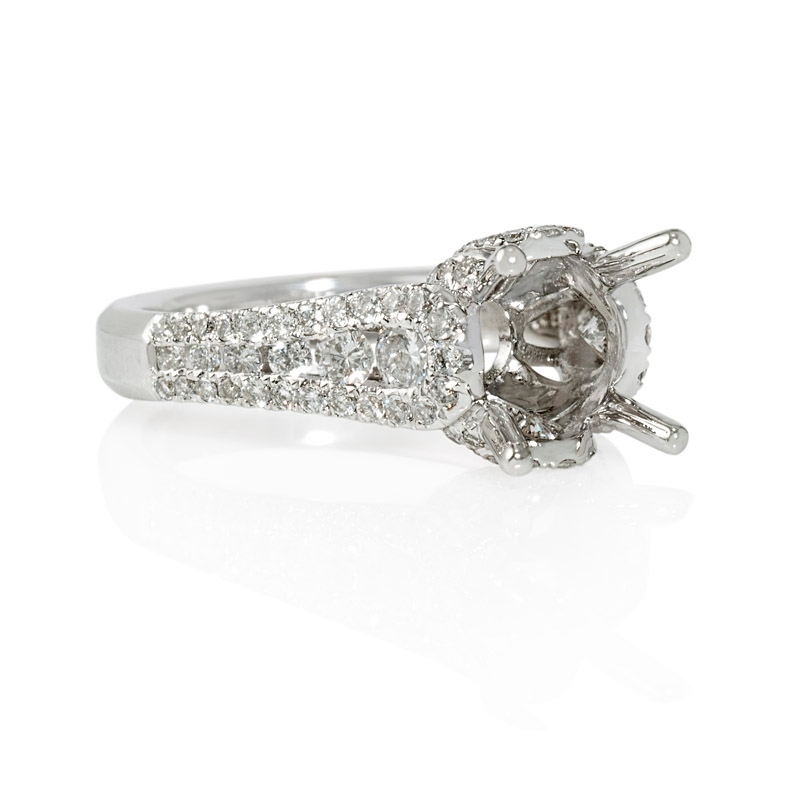 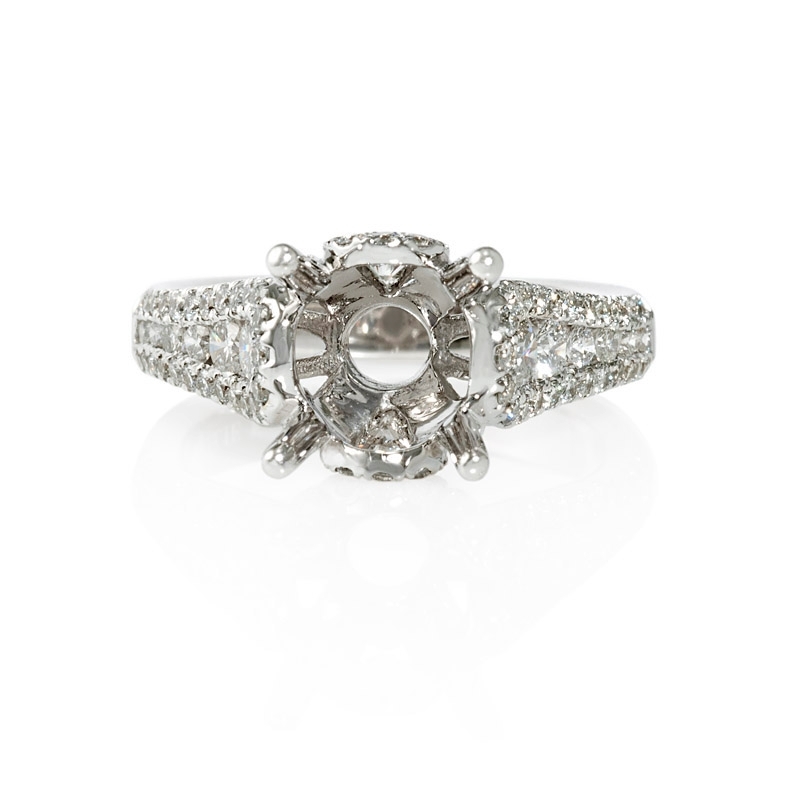 Setting Details: Natalie K 18k white gold design and accommodates a 2.00 carat round cut center stone. This beautiful Natalie K 18k white gold engagement ring setting, features 112 round brilliant cut white diamonds of G color, VS2 clarity, with excellent cut and brilliance.